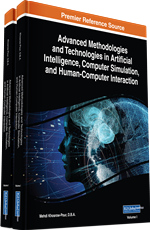 In this chapter, computational intelligence and its major methodologies are introduced, and then hybrid intelligent systems are defined, and the most popular hybrid intelligent approaches are discussed. The increased popularity of hybrid intelligent systems during the last decade is the result of the extensive success of these systems in a wide range of real-world complex problems, but also has to do with the increased capabilities of computational technology. One of the reasons for this success has to do with the synergy derived by the computational intelligent components, such as machine learning, fuzzy logic, neural networks, genetic algorithms, or other intelligent algorithms and techniques. Each of the partial methodologies provides hybrid systems with complementary reasoning and searching methods that allow the use of domain knowledge and empirical data to solve complex problems. The chapter includes recent advances and new findings in the area of hybrid computational intelligence. In this paper computational intelligence and its major methodologies are introduced in the first place, and then hybrid intelligent systems are defined and the most popular hybrid intelligent approaches are discussed. The increased popularity of hybrid intelligent systems during the last decade, is the result of the extensive success of these systems in a wide range of real-world complex problems, but also has to do with the increased capabilities of computational technology. One of the reasons for this success has to do with the synergy derived by the computational intelligent components, such as machine learning, fuzzy logic, neural networks, genetic algorithms, or other intelligent algorithms and techniques. Each of the partial methodologies provides hybrid systems with complementary reasoning and searching methods that allow the use of domain knowledge and empirical data to solve complex problems. The paper includes recent advances and new findings in the area of hybrid computational intelligence.